The perfect splash of colour on a winter coat or jumper. 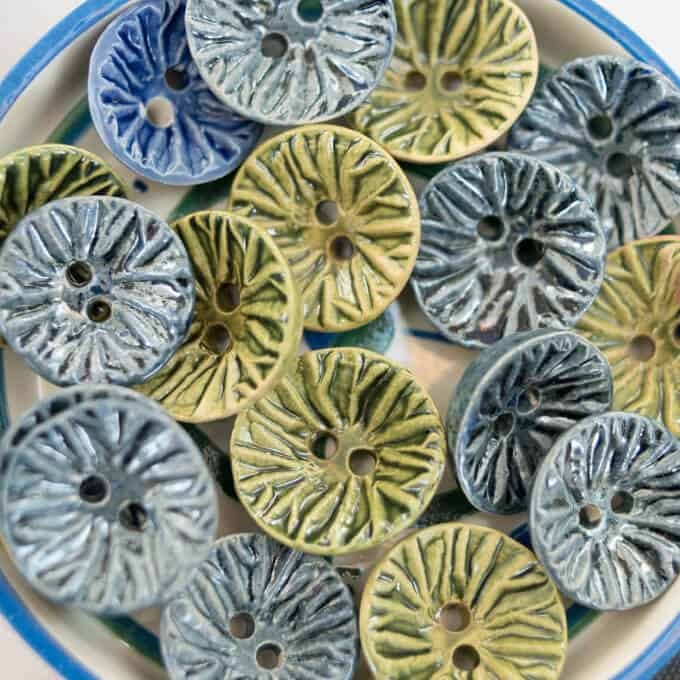 Each button is individually handcrafted and painted. No two are completely alike. The flower design is symbolic of Isobel. It is part of a three-part button series that celebrates Isobel’s connection with the North. The flower design represents Isobel, the compass button design the means by which she travelled, and the seal toggle button the Inuit communities she befriended. Price is for a set of two buttons.